Mary-Kate and Ashley Olsen have built a reputation at The Row for creating luxurious pieces that are equally timeless and elegant. These 'Bourgeoise' mules have been made in Italy from black leather and have leg-lengthening pointed toes. 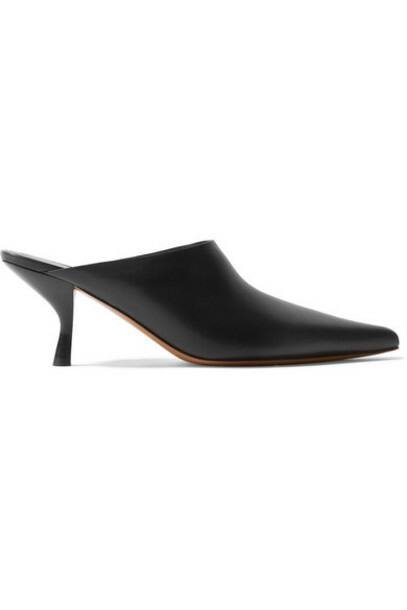 The sculptural 65mm heel allows you to comfortably wear them from the office to happy hour.